Your Himalayan Adventure Holiday Starts Here! Perfect introduction to trekking in the Nepalese Himalayas. 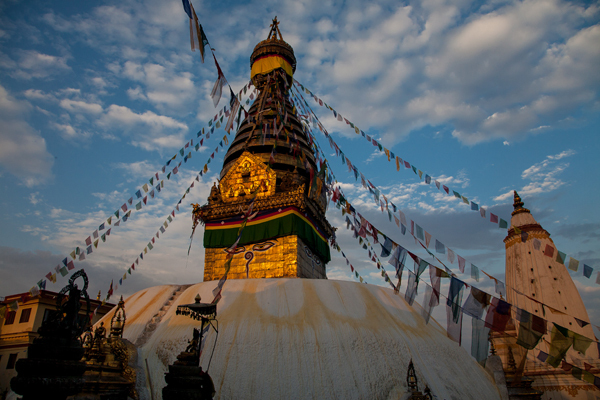 Discover sacred Buddhist sites and experience centuries-old spiritual heritage of Nepal. A journey of discovery and adventure through Nepal's diverse landscape. Enjoy the thrill of bungee jumping, rafting, paragliding, mountain biking in one unforgettable holiday. Discover the natural beauty and unique culture of Langtang region of Nepal. Namaste! We invite you to embark on your own journey of discovery and transformation through the Himalayan nations of Nepal, Bhutan and Tibet. 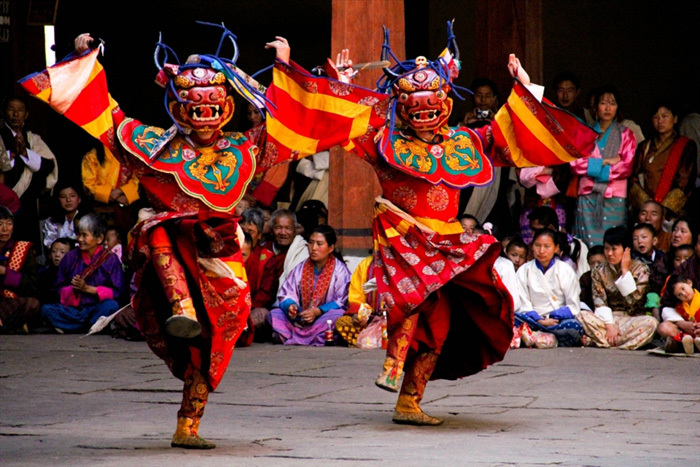 Explore stunning landscape, immerse in timeless traditions and ancient cultures, enjoy rich bio-diversity and connect with ancient wisdom and deep spirituality of the Himalayas. Private Tours & Custom Itineraries - We take great joy in crafting itineraries that reflect your travel ideas and cater to your requirements - your desires, your budget, your preferences, and your dates. Custom travel itineraries can be created from scratch or based on one of our featured tours, adventure and wildlife safari trips, golf holidays, spiritual journeys and walking and trekking holidays. 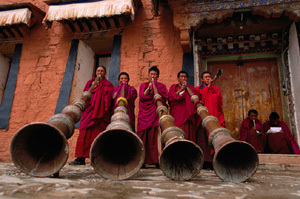 Please contact us to start planning your tailor made journey to Nepal, Tibet, Bhutan and India. Classic Adventure Holidays - Walking and trekking in Nepal's hills and mountains is more than an adventure. Experience breathtaking views, heart-warming smiles and ancient traditions on our treks to world renowned destinations such as The Everest Base Camp Trek , the Annapurna Sanctuary Trek, and the Mustang - the Kingdom of Lo Trek. Our adventure holidays in Nepal are both classic and unforgettable. Thank you for your arrangement and hospitality. We had a wonderful experience and have good memories from Nepal and with kind Nepalese. Take care and thanks once again.. The trek was really delightful, our trek leader was very good. Transportation was well organized. Communication with Ananya was always easy and straightforward. The changes in the program that we requested were handled in very easy and nice way. From the first to the last day in Nepal there was somebody to take care of all details..
Our trip to Nepal was a wonderful highlight and genuinely unforgettable. One of the best aspects of all for us was that EVERYTHING was laid on for us. We didn't have to think about anything at all - we turned up and it all unfolded quite beautifully around us. The hotel and staff were fabulous. The trips varied (and humbling) and the Everest flight the touristic highlight for us. Having somebody with us so much of the time was wonderfully reassuring and your own quiet and discreet manner was particularly liked by us all. I would recommend you (as a person) and your company's services to anybody and everybody - indeed, I have already started doing so! My VERY best wishes to you (and your family)..
We thank u from the bottom of our heart... It was an awesome experience in Nepal, and the credit goes to you. And the overall experience about our tour, it was amazing. Had a very very nice time in Nepal. And we look forward to visit again next year. . 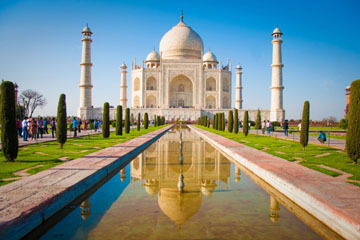 Traveled from Kathmandu to Delhi for the Golden Triangle tour arranged by Ananya Holidays. A Magical Experience. Our every need was met!!. Thank you very much for arranging all the facilities during my recent tour to Kathmandu-Nepal. Ms. Leena is very active /dedicated employee,she made our tour very hassle free as well as comfortable. .
An experience of a lifetime! Excellent service from start to finish. Accommodation was excellent throughout and food very good. All staff helpful and considerate. The whole trip was well planned and we would certainly use Ananya Holidays again and recommend you. .
Best holiday we have had in a long time, would certainly do another trip with Ananya Holidays. .